The human brain is designed to lie to us. Over the years, it has evolved to help us ignore mistakes we make, fuelling our own irrational, biological instincts. But what if we could train our minds to make more rational decisions, without the blow to our confidence? In The Scout Mindset, Julia Galef explores two different modes of thinking, the 'soldier' and the 'scout' mindset, and explains why the 'scout' mindset helps us make much better decisions. Unfortunately, most of us naturally have a 'soldier' mindset. We protect our beliefs aggressively and ignore any evidence that we might be wrong. But to be right more often, we need to approach ideas less like a soldier and more like a scout. A scout surveys the land, seeking accuracy and understanding to find all available information - good and bad - to gain a more truthful picture. While the soldier and the scout are both essential to the functioning of an actual army, a scout mindset will benefit most of us more in decision-making. With fascinating stories ranging from Warren Buffett's investing strategies to subreddit threads and modern partisan politics, Galef explores why our brains deceive us and what we can do see things more clearly and be right more often. 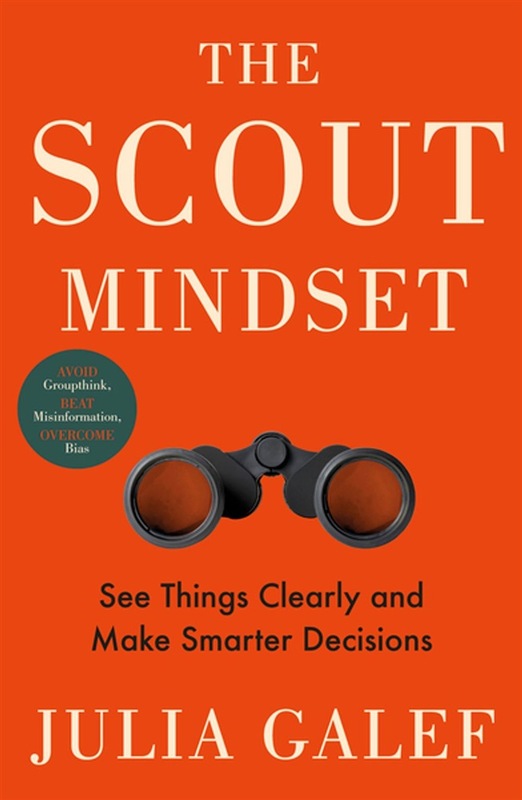 Acquista The Scout Mindset in Epub: dopo aver letto l’ebook The Scout Mindset di Seek Julia Galef ti invitiamo a lasciarci una Recensione qui sotto: sarà utile agli utenti che non abbiano ancora letto questo libro e che vogliano avere delle opinioni altrui. L’opinione su di un libro è molto soggettiva e per questo leggere eventuali recensioni negative non ci dovrà frenare dall’acquisto, anzi dovrà spingerci ad acquistare il libro in fretta per poter dire la nostra ed eventualmente smentire quanto commentato da altri, contribuendo ad arricchire più possibile i commenti e dare sempre più spunti di confronto al pubblico online.